Posing in Batman Beco. All photos by Tom Stanley. There are people who make the most of their vacation days, and then there are people like Tom Stanley, who put us all to shame by not only being able to name 140 countries, but by having the passport stamps to prove he's visited them. The Centre Head (President) and COO of Cox & Kings, The Americas, the world's longest running luxury tour operator (est. 1758), shares his notes from Brazil. Was it your first time? If not, how often do you go? I feel guilty when I go to Brazil and I don't visit São Paulo. It's fabulous and often overlooked. Like not going to New York when you visit America. My first time was about 1993, and this was my third visit. How long were you there? Five days. Why did you go? To meet with clients. I also added the weekend to visit friends. What was the best tip you got before you left? To check out the local street art scene. You can find it in various places, but the most enjoyable is Beco do Batman. What's the #1 tip you'd give a friend? 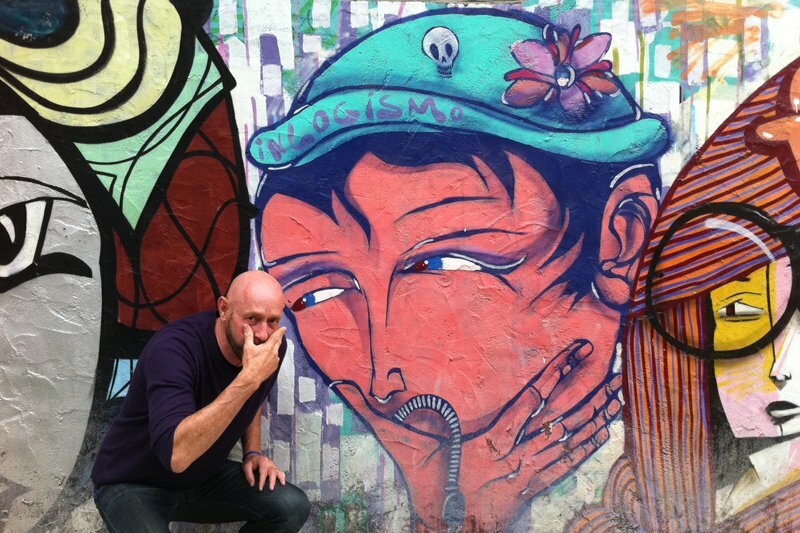 Remove your '90s perception of São Paulo as polluted, dirty, dangerous, and dysfunctional. Replace it with artsy, exciting, emerging, trendy, and delicious. Plus, Brazilians have to be the fittest people on earth, so bring your athletic gear. Were you there for the right amount of time? The right amount of time is four or five days for a visitor. How did you get there? I flew from LA to Miami to São Paulo. Their airport is rather miserable, but will be rebuilt in time for the World Cup in 2014. - One of my guilty pleasures is to see really creative street art. Not to be confused with graffiti, which is akin to vandalism. Great street art is rebellious, thought provoking, and, ultimately, temporary. - The sushi is São Paulo is amazing. The city has the largest Japanese population outside of Japan. World class. Kinoshita is the best of the best restaurants for sushi. 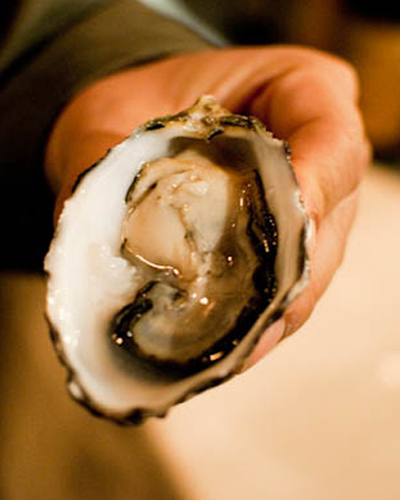 - Oysters, which are brought in daily from Florianopolis. 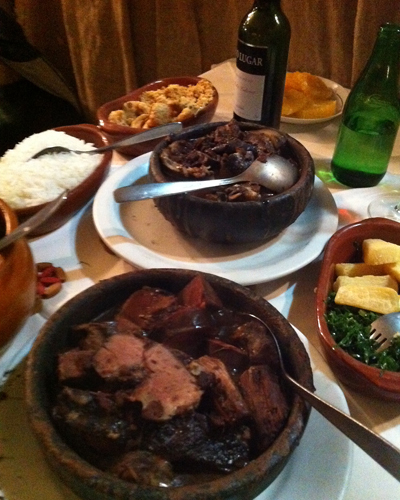 - Experiencing Brazilian up-country cuisine like pirarucu, a fleshy and flavorful freshwater fish from the Amazon. But this wasn't: Traffic. But, hey, I'm from LA, and it's no worse than home. 1. Meal or meals: Pão de queijo, the cheese bread that comes with many meals. 2. Neighborhood to explore: The upscale Jardins District, like the Beverly Hills of SP. 3. Site/place/thing you did: Visited the Museu do Futebol at the stadium at Pacaembu. It's a high tech presentation showing the great moments of the world's greatest soccer players. For us football fans, it's a highlight. 4. Cafe/casual hangout: Spot, in a glass mid-century modern building with a superb food and wine list. And a very attractive crowd. 1. Glad you packed: My iPhone with lots of Brazilian music. Brazilians are really into American music, which is disappointing. 2. Wish you'd packed: More trendy clothes. It's a very hip city. 3. Didn't need: A return ticket home. 4. Brought back: A longing to return. Would you go back? If so, what would you do differently? Of course. I'd love to rent an apartment for a few weeks and really delve into the SP scene. Any surprises? The phenomenal choice of restaurants. You can spend months exploring them. Italian, Portuguese, French, Japanese, Argentine, Chinese, Vietnamese. Oh, and Brazilian, with regional cuisines from around the country. You can't stop thinking about: What a beautiful night it was for drinks at the Skye Bar on top of the Unique Hotel, a contemporary architectural gem. The views of São Paulo's city lights are spectacular. Tom heads heads the US offices of Cox & Kings, the world’s oldest travel company. He has been to 140 countries to date and his list gets longer. He is as much an adventurer, enjoying the world’s most remote and wild locations, as he is an urbanite, savoring the intensity of the world’s great cities. Find him on Facebook and Pinterest. He travels because he can and he must.